Hope you’re feeling energized for a great week ahead! I know I sure am. Thanks to everyone who made it out to the career panel last week. From what I can tell, the event was a success! The speakers all told me they were impressed by your curiosity and they were very happy to stay well beyond the time the event was scheduled to finish at. I just thought I would touch on a couple of points brought up by the panellists. First, we learned that while there is a trend to eliminate the cover letter, most pamellists agree that it is what sets you apart that will get you the job. So, make sure to highlight what makes you special in a well written and engaging cover letter and don’t neglect that small section titled “interests and hobbies”. For additional job hunting resources, Mr. Boulton highly recommends checking out Eco Canada (www.eco.ca) and Mr. Philopoulous suggested you pick up the book “What Color is your Parachute“. The panellists also all seem to agree that while a graduate degree isn’t a prerequisite for most junior positions, many professionals do seek additional education at some point. A Masters of Public Policy was recommended if you’re interested in government and an MBA, a Masters of Applied Science or a PhD would serve you well in consulting. Another point brought up by the panellists is that sometimes you need to physically get in front of the people who are hiring. Firing off your resumes into cyberspace can only get you so far. The career panel was an excellent opportunity for you to do just that! Becoming part of professionals associations, such as the A&WMA, is another. 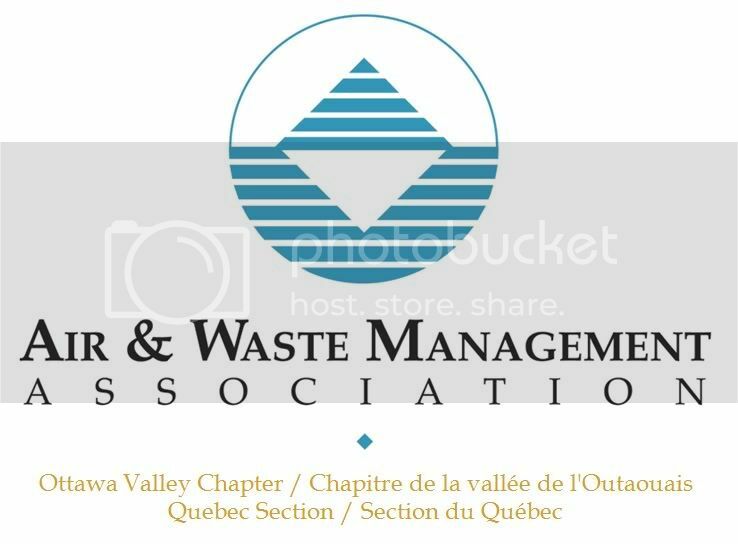 Did you know that all of the panellists that came out last Thursday did so because they were asked by a member of or are themselves a member of the A&WMA board of directors? The panellists are just a small example of the wonderful people you could meet by participating in A&WMA events. I encourage you to learn more about the A&WMA and attend other of their excellent events and meet people in your field (or future field). I also encourage you to check out other professional organisations such as the OGG, CSCE, ASHRAE, WEAO, YEP… you get the picture. Just get out there and good luck! The second annual Carleton University Green Energy Symposium (CUGES) is set to take place next Saturday November 5th in Minto Foyer at Carleton University. The best thing about this day-long conference is that it is free for all attendees and includes lunch and refreshments. The conference aims to break new ground when it comes to raising awareness and knowledge of sustainable development, on both a social and technological level. Guests will be exposed to several educational morning presentations from industry experts in various facets of sustainability. During the afternoon, a thought-provoking panel discussion on Poverty and the Environment will challenge industry experts to present their ideas on global consumption. Students of all ages, faculty members, industry professionals and outside guests are all welcome. 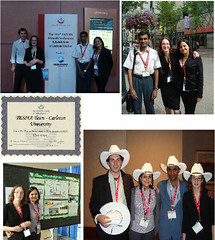 Any inquiries may be directed to the Carleton University Sustainable and Renewable Energy Engineering Society (SREE Soc. ), at carletonSREE@gmail.com. The Carleton Celebration of Women in Science and Engineering is a showcase of graduate students, faculty, and alumni of Carleton University. The number of women who enrol in many science and engineering programs is quite low, so the amazing things they do can easily go unnoticed. This day puts them in the spotlight. The event takes place on April 6, 2011 and everyone is invited! Just a reminder to please RSVP for the Environmental Challenge International Workshop coming up this weekend. By Jim Moran, MA Ed., President of The Learning Alliance Inc.
Abstract: This educational presentation is designed to expose you to the most current techniquesfor improving knowledge transfer during your slide presentation. In this 45 minutes presentation you’ll experience what a slide deck can look like without bullet points and lean how to use planning tools to prepare a slide set that will inform and inspire your audience. For more information about the presentation and the speaker, see the files for download on the right hand side of the page. Let’s be honest, exams are stressful but WISE and SEEDS want to help! That’s why we have teamed up to offer you a FREE yoga session during the exam period. On December 15th from 1 p.m. to 2:30 p.m. Richard Hudspith, a yoga instructor at Carleton, will show us how to melt the stress away in the Multipurpose room in the Athletics center. Interested? Space is limited so make sure to RSVP by clicking here. While you are doing that, you can also let us know if you need a yoga mat and will be automatically entered into a raffle to win some cool prizes! Time: 1 p.m. to 2:30 p.m.
Abstract: The history of geotechnical engineering is not very old and it was initiated by an understanding of soil mechanics in the early 19th century. However significant applications of geotechnical engineering can be traced back as early as the 11 th century. Geotechnical engineering involves ground investigation, geotechnical laboratory testing, geotechnical instrumentation, geotechnical design and analysis, ground improvement and ground engineering. These engineering principles are not only applied in the construction industry but also have been applied in rescuing valuable heritage structures, transporting extra heavy equipment, investigating the new planet, demolition and reconstruction of famous structures, warship engineering, protecting the environment etc. This presentation will describe services provided by the geotechnical engineering discipline and will introduce some well known case studies of geotechnical engineering services provided during history and demonstrate how geotechnical engineers have been involved around the world; well known construction projects, incidents and operations will be presented and explained. To stay informed on what we are up to, join mailing list by clicking here or find us on Facebook. SEEDS · Student Society of Environmental Related Fields in Ottawa.